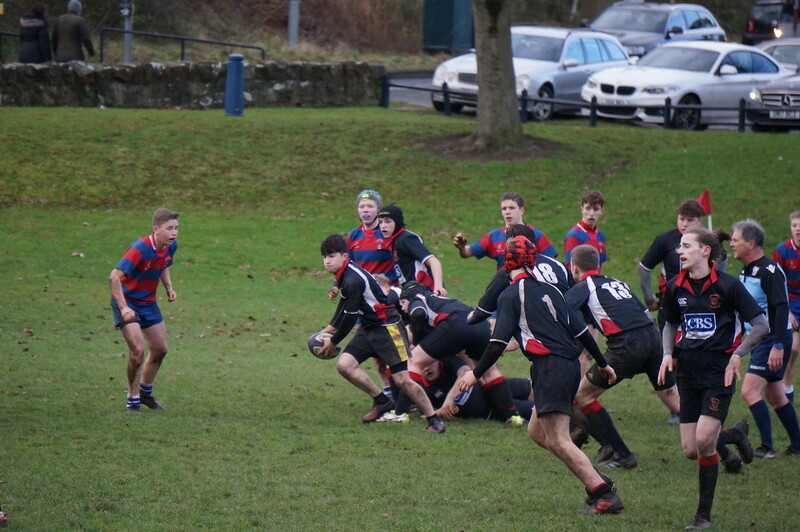 The Young Reds U16’s took on Hucheson GS wanting a better performance than in the first game of the season back in August when they were narrowly beaten 24-19. Emerging as winners by 22-15 was certainly an improvement although the Christmas break has seemed to make the team a little rusty. During large parts of the game they seemed to be just going through the motions with none of the fast, direct running usually seen from the Young Reds. For most of the first half, the Young Reds had possession and field position. Gregor was first to crash over from stand off after 11 minutes with Ollie converting to give a 7-0 lead. Then there was a lot of close play with Hutchie failing to use their countless overlaps. However Linlithgow were awarded a kickable penalty on 20 minutes and Ollie stepped up and with an excellent strike made it 10-0 to the home team. 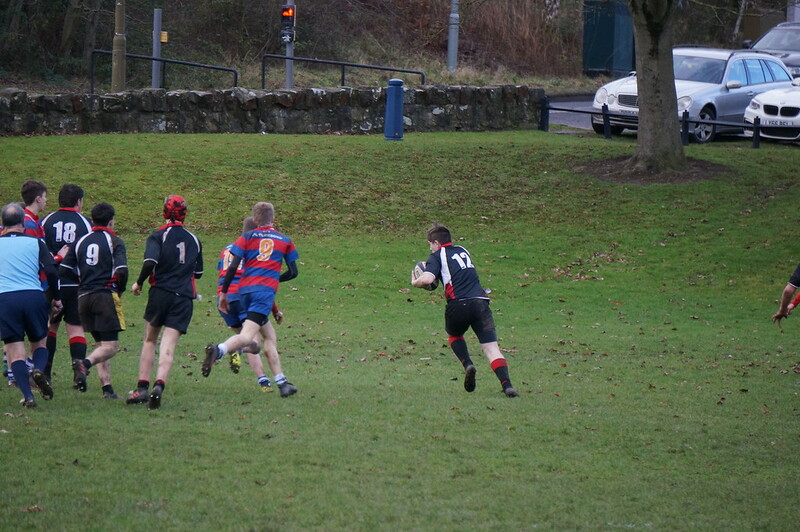 There were then 3 tries in 9 minutes, as first Hutchie went over, closely followed by a a fine reply from Linlithgow with a try from Rory with Ollie again converting, before Hutchesons closed out the first half scoring with a second try to make it 17-10 for the Young Reds at the break. 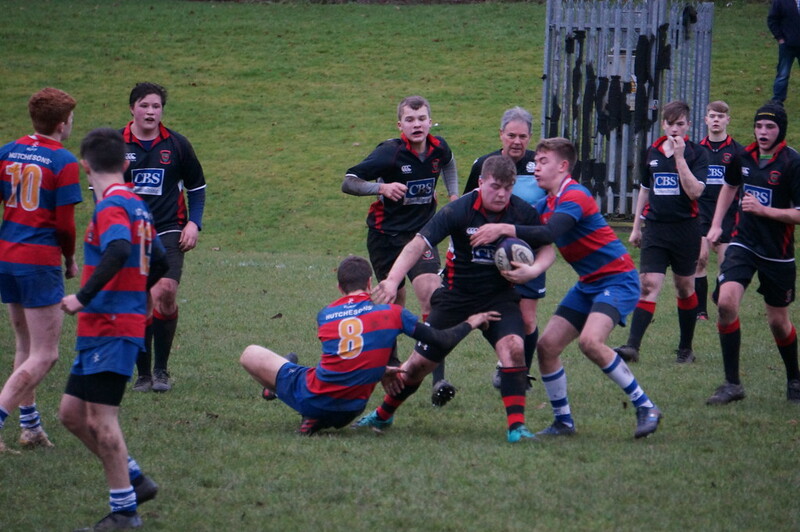 Linlithgow were keen to start well in the second half, however that didn’t work and they put themselves under great pressure by letting Hutchesons score first after only 3 minutes to close the home team lead to a mere 17-15. The Young Reds rallied and steadied the ship and as the game wore on looked the more likely to score. And so it was, as with around 5 minutes to go the Young Reds drove up the middle using our new training move resulting in Alex going over and Ollie narrowly missing the conversion to make the score 22-15. It finished at 22-15, a very close and evenly fought game. Thanks to the Young Reds’ subs today for turning out especially the S3 boys. Well done everyone but lots of things to work on during the week at training!